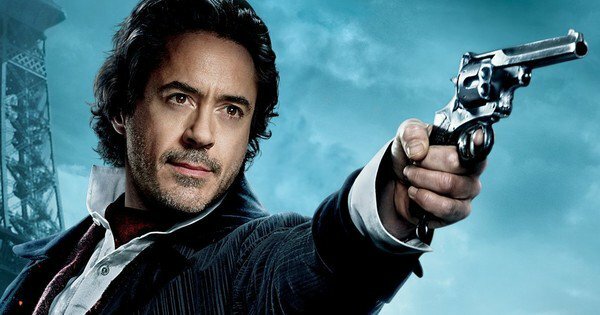 Quick Answer: While Mr. Holmes features the famous Arthur Conan Doyle character Sherlock Holmes, the film presents an aged Holmes who actively defines himself against the stereotype developed in the original fiction. These distinctions result in a film that is more like Gods and Monsters, another film about aging and death starring Ian McKellen and featuring the same director, Bill Condon. While Mr. Holmes (2015) features the famous Arthur Conan Doyle character Sherlock Holmes, the film presents an aged Holmes who actively defines himself against the stereotype developed in the original fiction. This is not the first time Holmes has been redefined, of course. 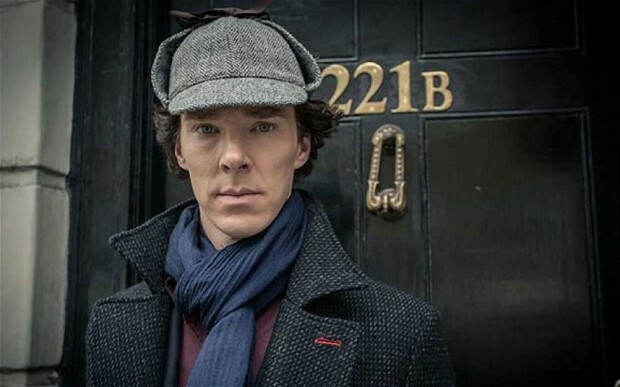 To take only two recent incarnations, for example, the Holmes of Robert Downey Jr. (2009, 2011, 2013) is a man of action as well as intellect, for example, and Benedict Cumberbatch in the BBC’s Sherlock (2010-) brings the famed sleuth into the 21st century. Ian McKellen’s Holmes is over 90 years old, long past his sleuthing days, and facing gaps in his once astonishingly perfect memory. His partner of old, John Watson, is long dead, and more recently so is his brilliant brother Mycroft. Mr. Holmes thus presents us with Holmes more solitary than ever, and more trapped in a mind and body he can no longer control as he once did. The film is about aging, death, memory, and the importance of connection to others in life. With such themes, Mr. Holmes is the least like other films about the celebrated fictional detective presented to date on screen. If we consider theme and production elements, the film most like Mr. Holmes is arguably Gods and Monsters (1998). 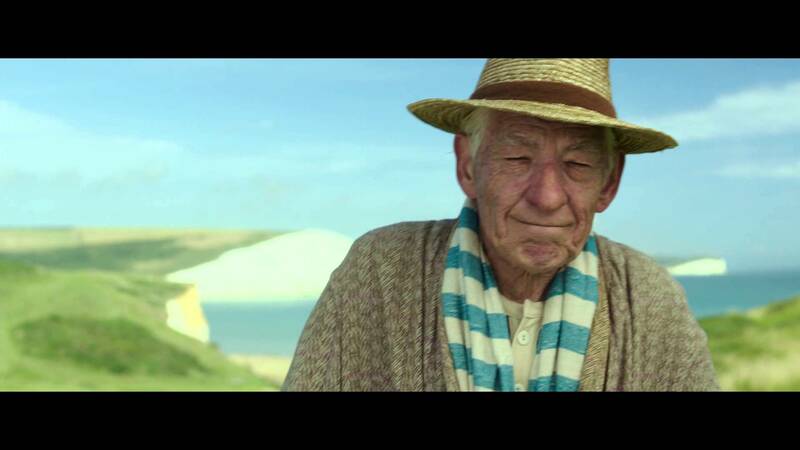 Both films are based on novels and feature Ian McKellen as a famous, aging figure who is both losing his memory and lost within it. As McKellen notes, in both pictures, “You have a celebrated man facing the decline of his public image.” Both, moreover, are directed by Bill Condon. Gods and Monsters provides a fictionalized account (based on a novel by Christopher Bram) of the last days of gay Hollywood studio director James Whale. Multiple strokes have left him depressed, in pain, and increasingly dependent on others. He lives alone with a terse housekeeper (Lynn Redgrave) until he befriends his new gardener, a young ex-Marine (Brendan Fraser), to whom he introduces his filmmaking career, especially his work on Frankenstein (1931) and The Bride of Frankenstein (1933). Both films attend to the impact of the past on the present, on the value of creative intellect and its loss, on aging and death, and on the vital importance but difficulty for some of bringing love into their lives. Whether isolation is due to hyper-intellectualism and introversion or cultural attitudes toward homosexuality and illness, the two pictures reveal -- in quite different cultural contexts -- the challenge of finding and valuing love of all kinds. The subject of rescripting the past also features centrally in this pair of pictures. In Mr. Holmes, the past intrudes to reveal false memory and the need to indulge in creative fiction to cope with life's hardships. In Gods and Monsters, because Whale suffered from delusions and great pain, the past comes into crashing conflict with the present, making a far darker movie, right up to its suicidal ending. Because Holmes makes peace with his past, finds affection in the present, and physically suffers less, Mr. Holmes can end far more peacefully. 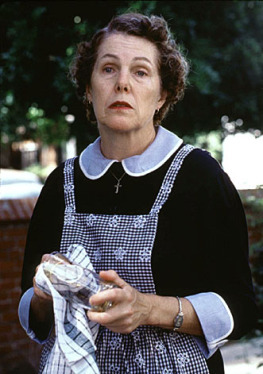 Housekeepers are the dominant women in both men's lives, women who care for their employers and bicker with them over differing notions of propriety and social class. 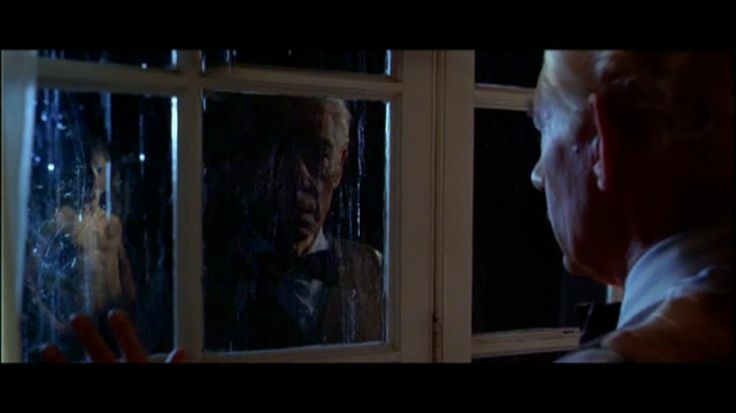 Lynn Redgrave's Hanna is older, also alone, and her relationship with McKellen's James Whale is one of parental strictness but also affection. Her personality suits his, both being set in their ways. 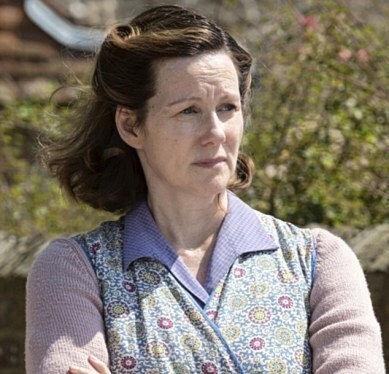 Laura Linney's Mrs. Munro is a quieter woman whose losses have led her to a hardened acceptance of life's unfairness. She does her best, and in some ways she is an undereducated working-class stereotype, but by the end of the film she has revealed her vulnerabilities more fully, and we warm to her. And Linney also features in several Condon films, including other tales of famous men’s lives: Kinsey (2004) and The Fifth Estate (2013). For love interests, the films differ significantly in what the present offers each McKellen protagonist as he heads toward death. Holmes has lived into his 90s in quite asexual fashion in keeping with the character as written by Arthur Conan Doyle. Whale, by contrast, coped with homophobia and the heteronormativity of Hollywood through lust, or so the film posits. Hence, when these two men experience a last chance at love, the results are quite different. 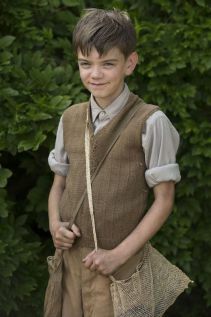 Holmes finds a kindred spirit in Mrs. Munro's son Roger (Milo Parker). The old man shares his love of beekeeping as well as his writing with the boy. And because Roger is clever, Holmes instilling in him some of his own arrogance along the way. But love for the child in a moment of crisis ultimately draws Holmes together with Mrs. Munro as well as Roger. The three can live together happily until Holmes joins his dearly departed and bequeaths his estate to the Munro’s. For Whale in Gods and Monsters, the "boy" on whom he turns his attention is his uneducated but hunky gardener Clayton Boone. Boone, an ex-Marine, is drawn to Whale’s history as a former member of the Hollywood elite, but he is not gay and does not understand or share Whale’s cynical worldview. Furthermore, while Holmes does mold Roger a bit, he does so at the boy's encouragement and because he sees they share curiosity and the world of the intellect. By contrast, Whale knows he has absolutely nothing in common with Boone. He enjoys looking at him, and then uses him as a vehicle for self-understanding before death. 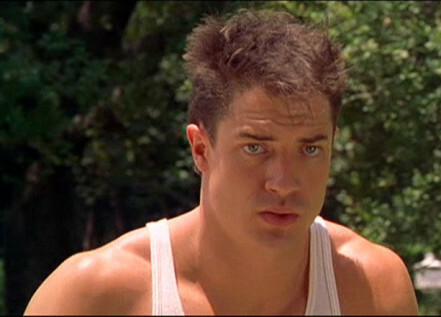 Boone becomes his Adam, his Frankenstein's monster. Life, war, love, death -- all swirl around the troubled friendship between the suffering director and his handsome but naive gardener. In more innocent fashion, Roger experiences some of the same whirlwind, as Holmes becomes feebler and the boy himself experiences as nearly lethal wasp attack. These similarities are brought together by the film’s shared framing devices – a crisis at a specific point in the protagonist’s lives and the use of flashbacks to illuminate it. By contrast, cinematography and mise-en-scène reflect the disparate moods and endings of the film. Mr. Holmes features wide open spaces and a comforting home setting, reflective of the inner peace that Holmes eventually reaches. Gods and Monsters shows the home to be a more confining space, while the outdoors is highly manicured brightness, alternating with the shadows of horror in nightmarish fantasy sequences. Director Condon and actor McKellen were both keenly aware of similarities. Mr. Holmes came about because the pair agreed after Gods and Monsters wrapped, “Before we die, we’ve got to do another film together.” McKellen was thrilled with the script and opportunity to play Holmes, although Condon notes that he “was a little wary of the comparisons that would inevitably made with ‘Gods and Monsters’.” This did not stop him from making the picture and enjoying it tremendously, especially as he could better relate to its themes than when he worked on the earlier film at a younger age. Bringing the two films together allows us to see within Condon’s eclectic career and ongoing investment in the lives of complex and controversial famous figures, both fictional and real, from his screenplay for Chicago (2002), about the infamous Roxie Hart, to his direction of The Fifth Estate (2015), the story of Julian Assange and Wikileaks. We can even see it in his current work on an infamous fairy tale monster-prince, the Beast, in the live-action version of Disney’s Beauty and the Beast (currently in postproduction, to be released 2017). Because the protagonist of Gods and Monsters is suffering so greatly, there is greater complexity of style and content in that film than in the relatively simpler tale of Mr. Holmes, with its gentle ending of acceptance and love. Holmes escapes the haunting of his past while Whale does not. Thus, the films address similar themes through similar character interactions but with quite different results.